Two members of the Class of 2017 at West Virginia Northern Community College are in a very unique position: they graduated from college on May 12 and two weeks later they will graduate from Valley High School. 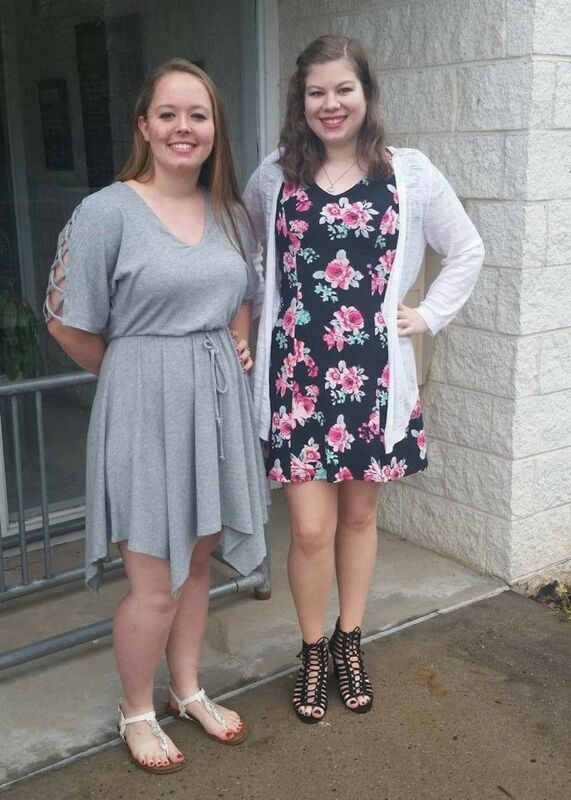 Brittney Ann Rose and Rebeckah Barnette, both seniors at Valley High School in Pine Grove, accomplished this remarkable goal by taking early entrance classes through WVNCC’s New Martinsville campus. Both attended Northern’s commencement ceremonies held that Friday in WesBanco Arena, Wheeling. Northern’s Class of 2017 numbers 431 individuals, the largest in the institution’s history, and for a college that typically boasts of having many non-traditional students it’s rare that high school graduates earn college diplomas concurrently. Barnette, of Burton, is the daughter of Jack and Leanna Barnette and also will graduate with an associate in arts with a psychology concentration. She has been named salutatorian at Valley High. “I plan to attend WVNCC in the fall of 2017 to pursue a degree in nursing and finish my degree in science.” She hopes to then attend Fairmont State University to obtain a bachelor’s degree in nursing and has a goal of attending West Virginia University to obtain a master’s degree in nursing to become a family nurse practitioner. Both had high praise for Ina Robinson, counselor on the New Martinsville campus, who helped them in their educational journey. As expected, both young women were very active high school students and both worked part-time as well. She babysits and her hobbies include traveling, painting/drawing and spending time with family, friends and pets. She said she is proud of herself because “this is something I never would have dreamed that I could have done until it was happening.” She credited her supportive family for her success. At Valley, Barnette participated in two years of band and four years of track and was the student body president her junior year. She currently is president of the Pine Grove Future Farmers of America and is active in the Livestock club and Student Council and is a member of the 4-H. “I have made it this far by working hard and having a strong group of family, friends and teachers that push me to be the best I can be,” she said.